Your success if for all to see - forever in the Hall of Fame. The Hall of Fame icon is on the right side of the navigation HUD. You can access Daily, Weekly, Monthly and All Time records. View different level groups, so people close to each other's level can compete. 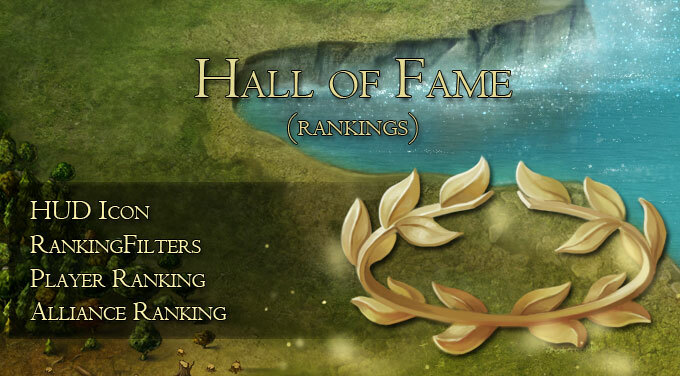 Criteria switches: At the moment there are only XP, and MP, however this is just the framework for the Hall of Fame. We have designed 13 criteria for implementation that will be introduced gradually. Alliances are unavailable in the current March to Rome version.